How do you hunt a killer who can go back in time and make sure you're never born?A police pursuit kicks Sergeant Jack Redding of the Florida Highway Patrol and his trainee, Julie Karras, into a shoot-out that ends with one girl dead and another in cuffs, and the driver of the SUV fleeing into the Intracoastal Waterway. Redding stays on the hunt, driven by the trace memory that he knows that running woman--and he does, because his grandfather, a cop in Jacksonville, was hunting the same woman in 1957.Redding and his partner, Pandora Jansson, chase a seductive serial killer who can ride The Shimmer across decades. The pursuit cuts from modern-day Jacksonville to Mafia-ruled St. Augustine in 1957, then to the French Quarter of New Orleans in 1914. 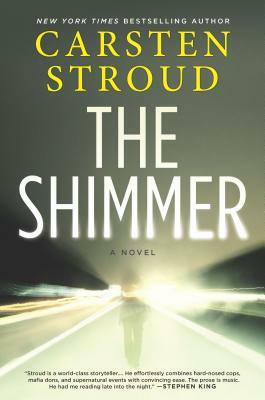 The stakes turn brutal when Jack, whose wife and child died in a crash the previous Christmas Eve, faces a terrible choice: help his grandfather catch the killer, or change time itself and try to save his wife and child.The Shimmer is a unique time-shifting thriller that will stay with you long after its utterly unforeseen and yet perfectly diabolical ending.